You are not logged in. [Log In] Forums EECH / EEAH EECH ver1.16.0 is out! #4234430 - 02/28/16 09:50 AM EECH ver1.16.0 is out! What's NEW in EECH 1.16.0? Load MP servers list regardless masterserver config value. - From now DDS textures loading algorithm is changed - no need to flip texture during save. It's recommended to convert all textures to TGA, or flip your DDS images vertically. Currently all textures of the game itself and included mods was converted to TGA, so some old mods that uses DDS textures became incompatible. 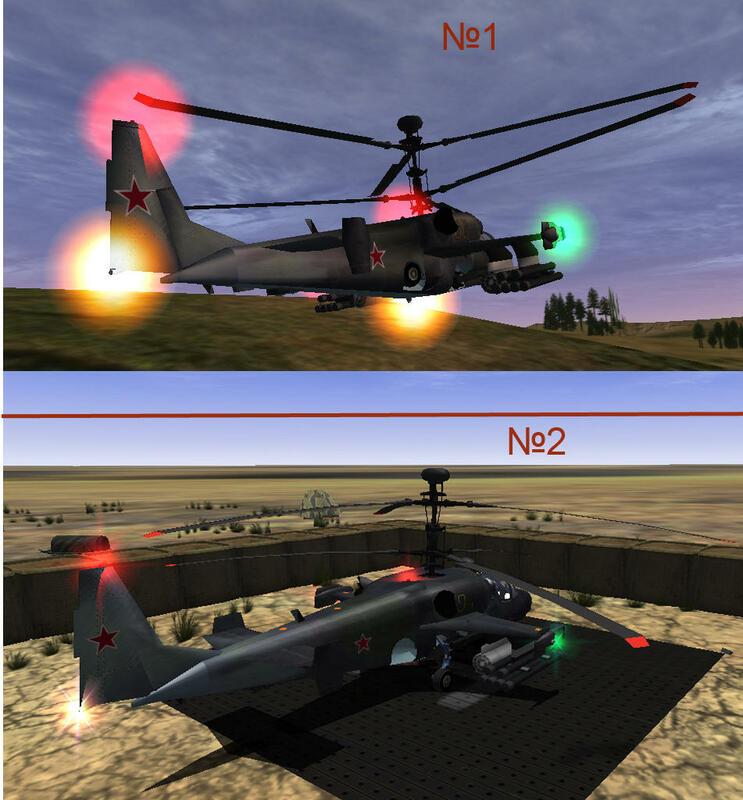 - Troops models can be placed in the helicopter scene - just make subobjects with label TROOPS_ONBOARD, they will be visible between Troops Instertion mission start and Insertion waypoint reach (there is no any animation yet). - Collision object can be applied to the forest trees, LOS check will be affected (include radar detection as side effect) same as weapon and player dynamics calculations. - SPRITE_LIGHT texture now using for sprite lights rendering ("cohokum\graphics\textures\animation" folder). it can be replaced with any other but it has to be desaturated (BW), otherwise light color will be distorted. Last edited by thealx; 02/01/17 07:44 AM. please report about any troubles you will have with this update. Thanks to you guys, your effort is very appreciated. Now all has been improved and amplied: sounds, graphics, fx effects, new cockpits, the stability, and much much more! Thanks to you the time is not an inconvinient to this sim. Sincerely thanks to all of you. Many thanks for all the work put in to this release. Unfortunately I'm the first to have a problem. After a clean install from GOG download the game runs fine. I downloaded the 1.16.0 update (twice) and ran it (accepting the default options). All went well. Ran the game and I get a black screen, nothing else. I don't get the normal loading screen. If I ctrl+alt+del and run the task manager the eech options screen shows and I can exit from the game. I have tried deleting the eech.ini and game.cfg files but this has not made any difference. so in some way you can get to the game screen? maybe you shall try to run game in window mode (fs=0 in eech.ini). do you have only one monitor connected to the system? Last edited by thealx; 02/28/16 08:25 PM. I actually have two monitors attached. The second one is black with a small window to the desktop on it. I'll try your suggestion tonight and get back to you. so I only need EECH CD? EEAH is not needed anymore? Tried Yesterday, helicopter shacking and bumping on the helipad so impossible to take off, anyway thank you. Last edited by SKIP2008; 02/29/16 11:52 AM. I already have the previous releases installed that changed my clean install of 1.15 to 1.16. Now I have to install everything again from the disc? Wow! EECH brings back lots and lots and lots of memories! I was a helo head for a good few years because of EECH. 1. Does it allow multiple-monitors or big resolutions? Mine would be 5896x1080. 2. Can I export MFD images? I'm hoping to find a way for this to work with Helios.... that would be so cool! 3. How is multiplayer support? A big "Thanks" to all, once again... Downloading now. Can't wait to come home. -I have a very large freezes in 2d menu. very often at any change options when changing screen appears translucent 2 pictures theme and game freeze ~30 sec - 1 min. =When change resolution in game shift f1 game freeze ~1 min and hdd working very heavy. =now I cant run game because when appear text Ending initialization (or something) game freeze and help only kill process. -No Aeyes textures apache cockpit. -No new lights in external model apache. -Apache have no power? I cant fly upwards or very slowly. in joystick menu all letters in my language are artifact. you will have no instrument needles in Mi-28 cockpit without EEAH installed. I'm afraid you are not only one who have such troubles. I will make some changes in suspension code and maybe will ask you to check it, I have no this issue and just can't test it by myself. It's recommended, but you always can try to update 1.16.0RC version. If something will be wrong after update - I'm afraid best option will clean install. don't forget to save player data before reinstall. 1. as Firebird said here - it can, but I'm not familiar with rendering system improvements so can't say for sure. 2. MFD export is supported, but compatibly problems with your display can happen. 3. MP mode is playable, but unfortunately there are was no wide tests of it. due to old MP system clients will have some uncomfortable limitations - like weapon launch delay. in local network it's barely noticeable, but in world wide it can be worse. masterserver is working - you can turn it on so other players can connect to your game. but, Airfields mod is broking compatibly so both server and client should have it, or should not have. I hope this great mod will be ready to next minor update and it will be included by default. 4. I'm sorry, have no time for that. maybe later. Can you past here your system configuration? drivers version, operation system etc. We agreed that this mod will be included only if it's will be necessary. later it will be included in updates, related to cockpit improvements. looks like I missed it. can you post a link were it was shared? maybe you did set new joystic axis - Engines throttle, so you are flying with engines in idle mode. are you using some modified translation files? Last edited by thealx; 02/29/16 03:05 PM. "looks like I missed it. can you post a link were it was shared?" in 1.15 2 final release apache has this new lights. in the later does not. "are you using some modified translation files?" No, english . it's so odd. I remember that I did these light for Hind and Blackhawk, but not Apache. are you sure? so all menu titles on english except several on controls page? can you make a screenshot?